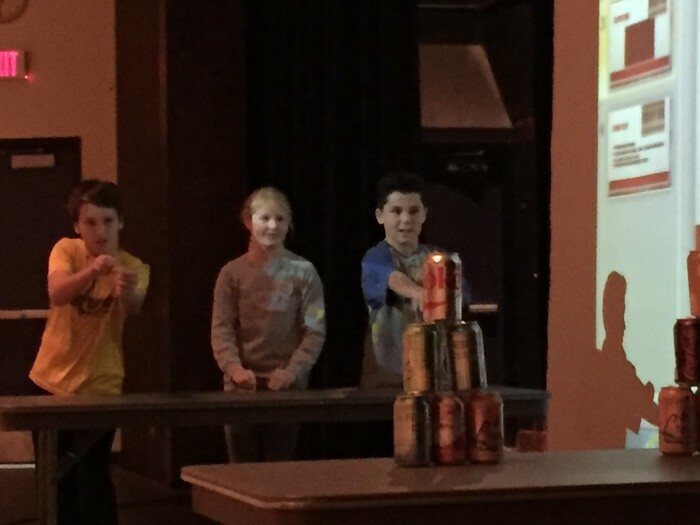 On Tuesday just before Thanksgiving break, we held our PBIS monthly celebration event. 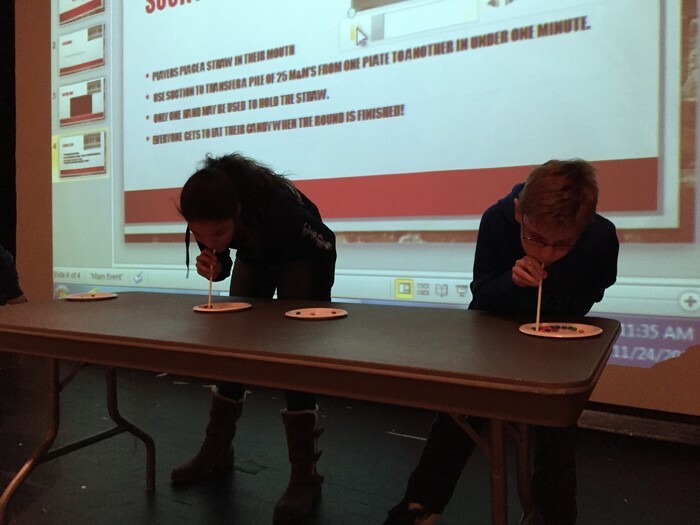 As the pictures below indicate, our students sure got in to the "Minute to Win It" activities. I am sure they will put a similar amount of enthusiasm and energy in to our December staff vs. student volleyball game as well. It is great to see our kids enjoying these events as a reward for their continued positive behaviors throughout the month. 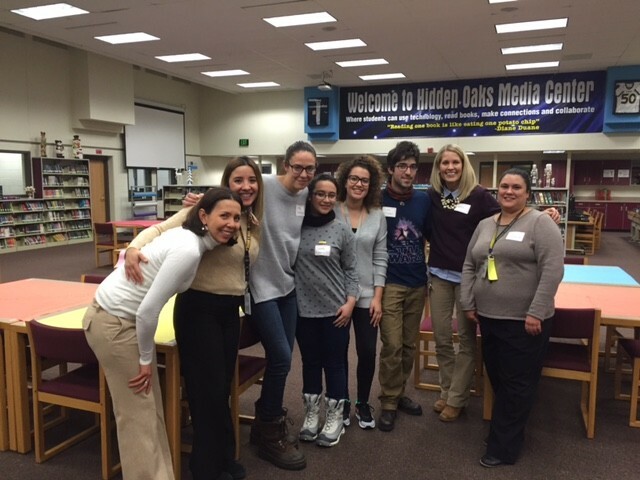 Thanks again to our PBIS committee for providing the direction and support for our ongoing work! 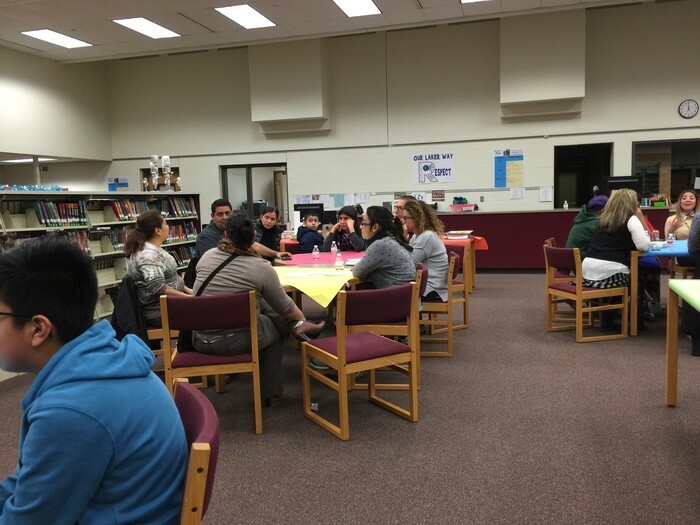 As part of our ongoing efforts to look for ways to better meet the needs of all of our students and families, on Tuesday evening we held our first ever, TO/HO middle school focus group event. 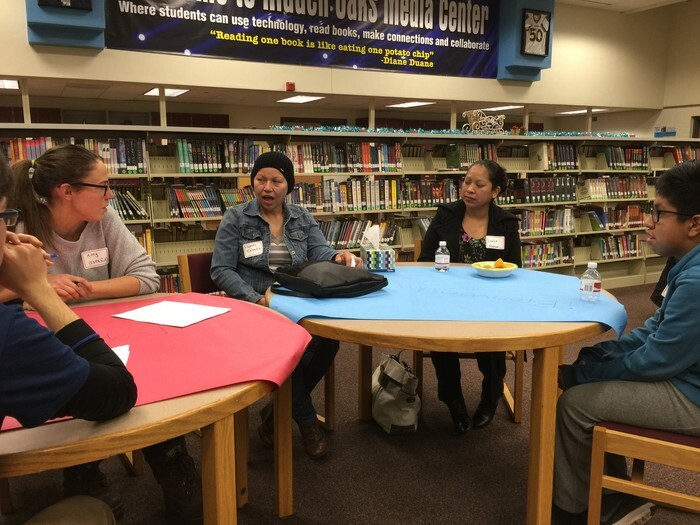 Under the leadership of Kelly McDermott, Maria Medina (our Spanish Cultural Liaison) and Kari Marciniak, all Hispanic families were invited to a gathering, where we gained insights and perspectives about their child's, and family's, school experiences. The facilitators of these conversations were the Amnity teaching interns from our Spanish immersion school, La ola del Lago. A huge thank you to Kelly for all of her work in coordinating this great event. We look forward to compiling the information we gathered and sharing it with staff in the future. In addition, we are planning to conduct similar events for our other subgroups in the upcoming months. "An interdisciplinary approach to instruction and learning focused on inquiry and real world problem-solving in the 21st Century, applying hands-on science, technology, engineering, and mathematical practices with projects and field experiences related to the environment." "Although the event has long since occurred, wanted you to know how much Dalton enjoyed the Raptor Center presentation. It was so up close and personal and informative; it sounded great from all that he shared with me. So, just wanted to pass this along and say thank you to you and your staff for bringing this presentation into the school." 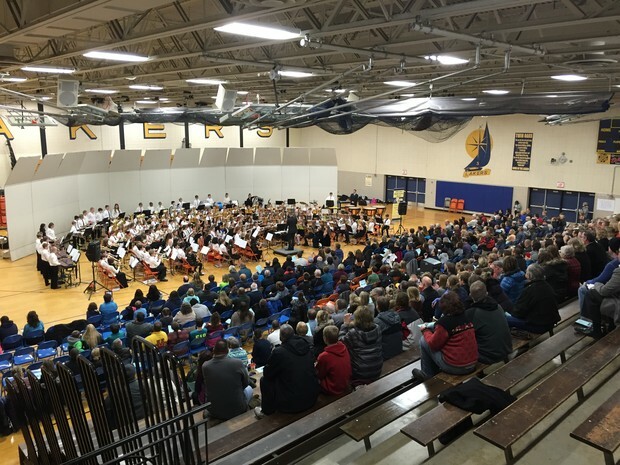 WOW, what a beautiful band concert last night! I was blown away by the entire night. I am sure the majority of the children are first time instrument players and they all played so well after only 3 months. This shows true dedication from both the students and you Mr. Melody! THANK YOU for being such a wonderful instructor , teacher, and mentor to our children, you are a true blessing and that concert was amazing!" I am excited that once again, Twin Oaks will be well represented at this week's MN Middle School Association Conference. We will kick off the conference with a performance by our 8th grade Girl's Choir under the direction of Terri Thomas and Alicia Fitchett right away Thursday morning. We also have a couple of teams giving breakout presentations: Holly Bartholow will be presenting: "What does it mean to be a child in today's world?" and our ATLAS team of Libby Daniels, Carrollyn Schuldt, Jaime Serbus (on Thursday) and Alison Zak, John Wabbe, Jaime Serbus (on Friday) will present: "ATLAS: Achieving to Learn Academic Success—A look inside a successful Middle School ALP School-Within-a-School." Additionally, Paula Case, Anne Freese, Kim Hall, Vicky Hilzendeger, Elizabeth Lane and Melissa Wagner will be attending the two day conference. As I certainly hope you know, if I had the ability, we would send our whole staff, but hopefully each of these folks will be able to bring back some valuable "nuggets" to share with you as colleagues. achieve that purpose, because it is impossible to accomplish if we work in isolation. skills, and dispositions we feel are essential to their future success."